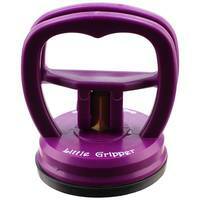 The Gypsy Gripper has a comfortable grip handle and two large suction cups with handy lock and release levers. Just press the suction cups to any plastic ruler with a smooth surface, then flip the levers to lock it in place. When you need to switch to another ruler, just flip the locking levers up to release. 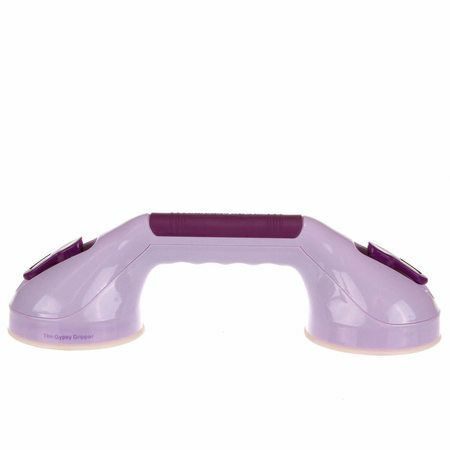 The suctions cups will work on any smooth surface ruler at least 4" wide that do not have any slots or holes in the areas that will be covered by the suction cups. 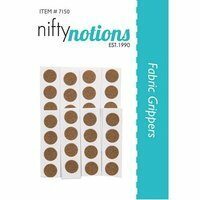 It can be used with just one end attached on smaller rulers or templates - just let the other end rest on the table while you hold it in place and cut. 3 1/2"W x 11 3/8" L x 3 1/8"H.